The FDNY confirmed the weather is to blame for the accident. However, the scaffold was erected on the Soho sidewalk almost a year ago and it may have become loose over the months. Investigators will have to find out when the scaffold structure was last inspected. Almost two years ago, there were an estimated 9000 similar structures on Manhattan sidewalks (see previous blog). Many of these sheds and scaffolds are left without supervision and without being used for months and sometimes years. The reason is often financial. It is cheaper for building owners to pay a fine for the scaffold rather than performing needed facade renovation work. When scaffolds stay up for months and sometimes for years they deteriorate and become dangerous. 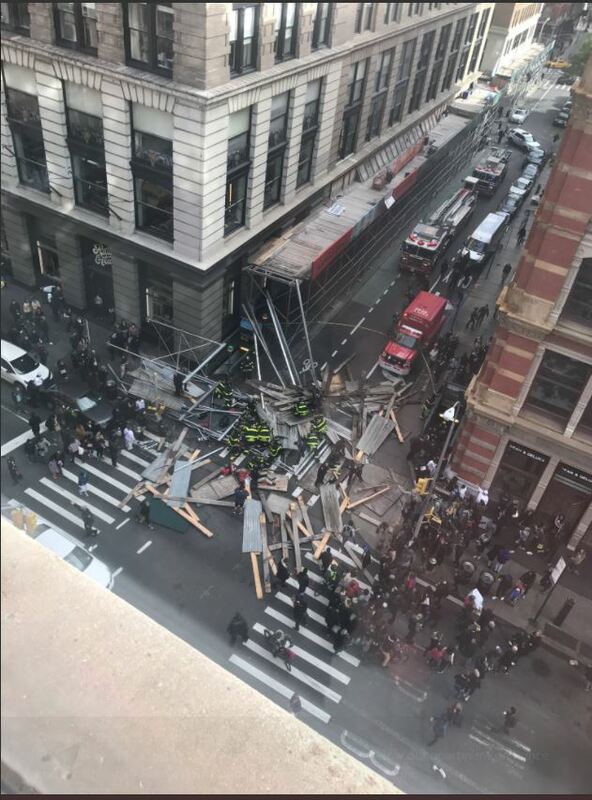 According to the Department of Buildings, the scaffolding that fell in Soho had been there for almost a year. According to people working nearby, the scaffolding structure was shaking and “looked like an accident waiting to happen”.